Hi! My name is Susan F. Moody and I am a self-professed serial entrepreneur having started over 14 businesses. I can't begin to tell you how many times I have experienced the ups and downs of being a small business owner. What keeps me going is my desire to make a difference. At the end of the day, the most important thing for me is to live a life I love serving a purpose that matters to me. Being a Business Growth Strategist and CEO of Starshine Communities fulfills that purpose. I am passionate about helping others achieve their own definition of success and want to share my experiences with small business owners also desiring to make a difference and live a life they love. What I noticed that was lacking for those of us on an entrepreneurial journey, was simply a place of belonging where we could go for solutions for our business and support for us, the heart and soul behind the business. A NON-JUDGMENTAL PLACE where we could take off our outward masks, be vulnerable and open to ideas and suggestions from others who were willing to share, collaborate and collectively grow our businesses. And this is the soul purpose behind Starshine Communities! 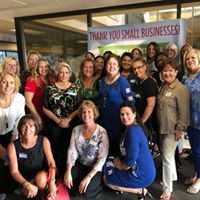 Starshine's mission is to create collaborative communities of small business owners cultivating an environment that celebrates and supports those who choose to make a difference. Each community is designed to foster the sharing of resources and collaboration, to help provide solutions for your business and to support YOU, the heart and soul of your business and your life. We invite you to join us and let us help you illuminate your brilliance! Click Here to Opt-in and Receive Your FREE Trial Membership. Experience a Starshine Community for Yourself! Not sure if joining Starshine can help you grow your business? Click on the box below to book a FREE Strategy Session and let's figure out what you need to succeed. * Susan is available to speak to your group, organization, or company. Participants will be ignited to attain greater personal and professional success! For more information about speaking topics and recent speaking engagements, please click here for Susan's Speaker Sheet.